Ever wonder why a slew of bloggers will write about a website or service at once? You probably know this already but I will state it anyway- it usually starts with a marketing campaign. A PR specialist will contact targeted bloggers and offer them an incentive, usually in the way of free product to write about their client. It’s typically a win-win as the blogger is happy to have something to write about and the PR person is happy to have some publicity. Plus, it’s hard for a blogger to write something negative when they are being comped. I mean who is unhappy about something they got for free? This is how the relationship between myself and FoodPanda was initiated. A few months ago I got an email from one of their representatives offering me $40 worth of vouchers to write about FoodPanda, a service that delivers food from all sorts of restaurants around town. The only catch was that she didn’t want me to state that I had received any sponsorship from them in the post. “Sure,” I replied, assuming she meant that she simply didn’t want the post labeled as sponsored. I explained that the post wouldn’t be sponsored per se, but that I would have to mention the vouchers. She replied along the lines of sorry, but you can’t mention the vouchers. I was pretty surprised. What she was asking me to do was unethical, and in some places like the US, it was illegal. I wrote her back and explained this. She replied with an I’m sorry that’s the deal email full of smiley faces in return. I told her no deal and she offered me a $10 voucher as a good will gesture. I went to the website and quickly learned there was nothing I could possibly order and have delivered for $10, and that most orders were going to run $40+. I sent her a thanks but no thanks letter back explaining why I would not use the voucher. She wrote me back saying she hoped she hadn’t offended me. Spoiler alert: she had. Fast forward to March and I have a broken leg. It’s been very challenging as someone who is usually active and independent. It’s a lesson in humility and slowing things down. 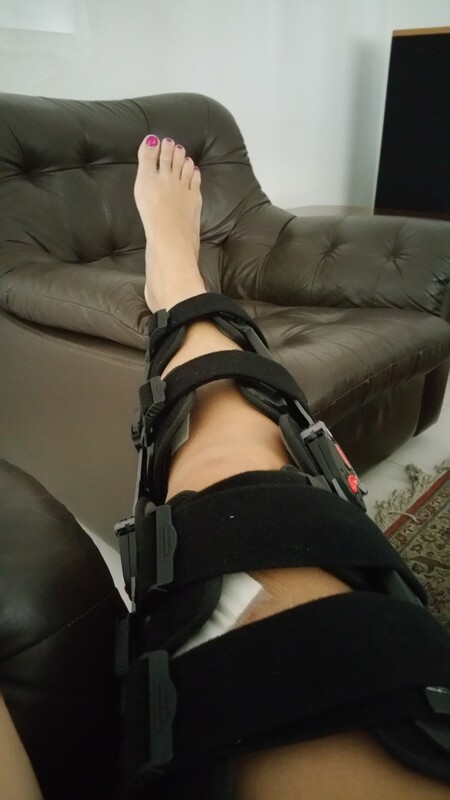 Husband and friends have been kind by bringing food and helping with vital tasks, but there have been many times when left to my own crutch-filled days. It’s definitely been an eye opener to the every day challenges of disabled people. One afternoon, hungry and without groceries, I remembered the FoodPanda delivery service. If ever a time to splurge on food delivery, now was it. I downloaded the app and perused the menu. I had been eating a lot of takeout brought over by friends, so the smattering of pizzas, Thai and Indian was not appealing to me. That’s when I spotted VeganBurg on the list. 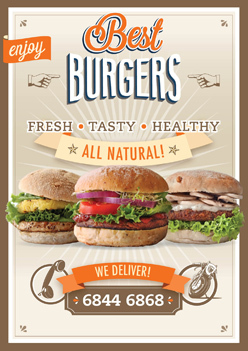 I’ve tried VeganBurg before and have been pleased with their food, mostly veggie burgers and fries. I decided to give it a go, but first called VeganBurg as they have their own delivery service and policies. “It’s a $50 minimum order to deliver in your area,” the woman from VeganBurg said. Drat, I thought, and went back to FoodPanda. 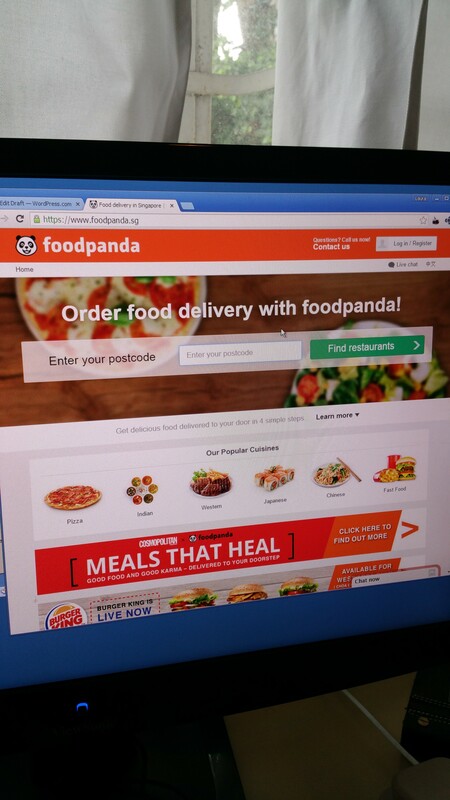 With Foodpanda, it was a $25 minimum, with a $10 delivery fee and a 10% service charge. I really had to stack up my order to hit the minimum. I figured I could order two sandwiches, an order of fries and two drinks to make the requirement. I could save one sandwich and one drink for lunch the next day, as I would likely find myself in a similar unable to cook or shop predicament. Ugh, after delivery and all, my lunch was totalling over $40. What was I doing? This was ridiculous for one person for a takeout lunch. My stomach grumbled and I reminded myself I would have an extra sandwich for the next day. I also remembered the voucher. I scrambled through my email but could not find it. I concluded that I had deleted it in my annoyance. I entered my credit card to the FoodPanda app, croseed my fingers that it wasn’t maxed out and hit the send button. I got a confirmation email and noticed that the delivery would take up to 90 minutes but that I would receive a text stating exact approximate waiting time. The text never came. “I’ve broken my leg! Hold on! I’m coming!” I replied, matching the panic in his hellos. I opened the door and he tried to hand me a bag. I looked at him and then I looked at my crutches. He wasn’t getting the message. “Do you mind putting it on the table for me?” I asked. He complied. I checked the contents and thanked him as he went on his way. I spread the contents on the table. The drinks were warm and the fries were limp and cold. The lettuce on the veggie burger was still fairly OK but I could see already that it was going to be problem on tomorrow’s sandwich. I looked toward the kitchen and sighed as I realized that I was not going to be able to bring a cup of ice to the table for my drink. I resigned myself to a warm ginger ale and began to eat the mushy cold fries. This is not how I remember my last few VeganBurg experiences. When I was done, I bagged up the trash, hooked it on my wrist and hobbled to the trashcan. I was full, but the event didn’t seem to fully satisfy. In fact, my stomach felt a bit queasy. I put the remaining burger in the fridge and made my way up the stairs recalling all the pleasant reviews I had seen other bloggers write about FoodPanda. I rolled my eyes and counted the days until I could walk again. Verdict: When you have a disability and can’t get out of the house, FoodPanda will deliver you food but it won’t be cheap and it probably won’t be fresh.